The majority of boa constrictors live in Mexico, Central America and South America. They may also be found on some islands in the Caribbean. Boa constrictors feed on birds, small rodents (including bats), lizards and do not eat large mammals. Boa constrictors can be found in different habitats including rainforests, agricultural areas and deserts in trees or on the ground. 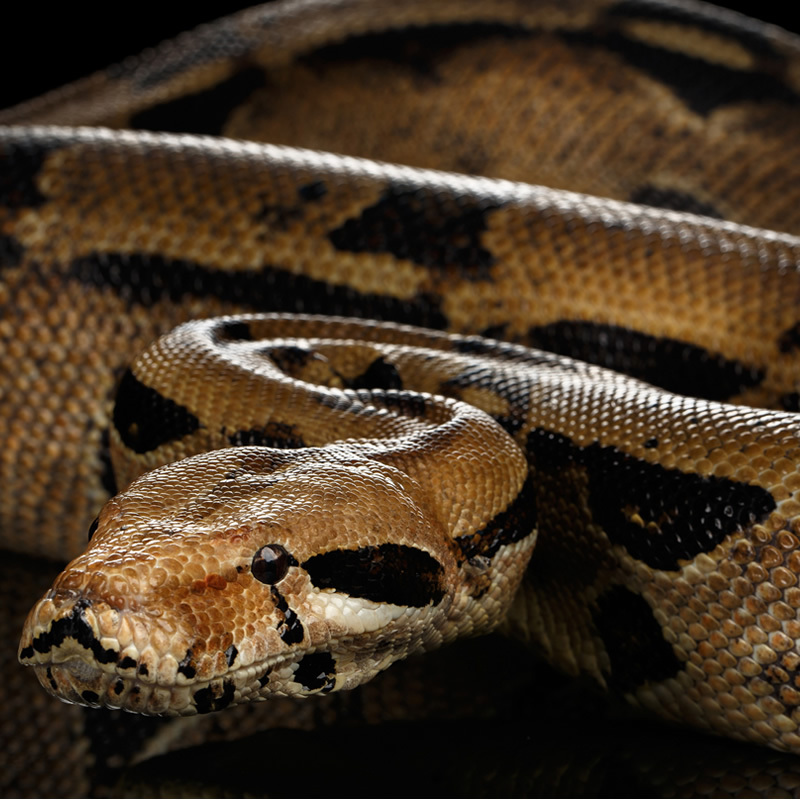 Boa constrictors average 6 - 14 feet in length but can be as long as 18 feet. Boas bear live young and may have as many as 50 or more infants during birth.